The Sarbanes-Oxley Act, the Dodd-Frank Act, rapid changes in technology, and an increasingly aggressive and sophisticated Securities and Exchange Commission (SEC), state regulators and plaintiffs’ bar have reshaped the rules and risks facing public companies and their officers and directors. Likewise, the Madoff scandal and other market crises have led directly to a dramatic increase in the resources available to the SEC and other securities enforcement agencies and a concurrent higher cost to companies attempting to comply with the new regulations. These new risks include significant criminal and civil penalties for violations of highly complex disclosure, governance and compliance rules. These changes have also increased the risks companies face when their systems for identifying and ferreting out internal control problems and improper conduct by employees are deficient. The SEC’s recently implemented “bounty” program has made it critical that companies not only incentivize employees to come forward with issues, but that companies have procedures and a strategy for investigating these issues when they arise. 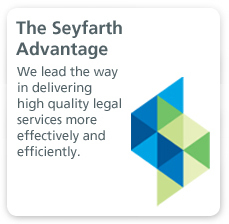 Seyfarth’s Securities Litigation group is comprised of attorneys with a deep knowledge of the legal issues that face public company officers and directors that are likely to be raised by employee whistleblowers, including issues relating to accounting, internal control, disclosure, corporate governance, fiduciary responsibility, executive compensation, domestic and foreign bribery, market manipulation and insider trading. In any case involving a whistleblower, a critical component of the company’s response is understanding the issues that are being complained about by the subject employee and investigating those issues side-by-side with any claims of retaliation. 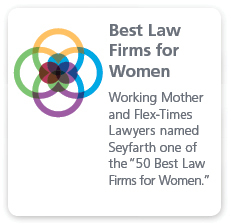 Seyfarth’s multi-disciplinary approach builds a team that is not only capable of addressing the employment issues raised in a whistleblower case, but also is able work with the company to assure any underlying alleged improper conduct is investigated and addressed. 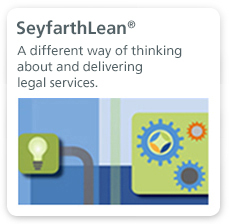 Seyfarth’s approach seeks to put the company is the best position not only vis-à-vis the employee, but also with respect to any subsequent inquiry by the government or shareholders.